​The date of June 30, 2018 could well go down as one of the most significant dates in this era of footballing history. Years from now, it may well be remembered as the day that Kylian Mbappe announced himself as one of the sport's great stars, elevating him from the best of the rest to a platform shared only with the likes of Lionel Messi, Cristiano Ronaldo and Neymar. 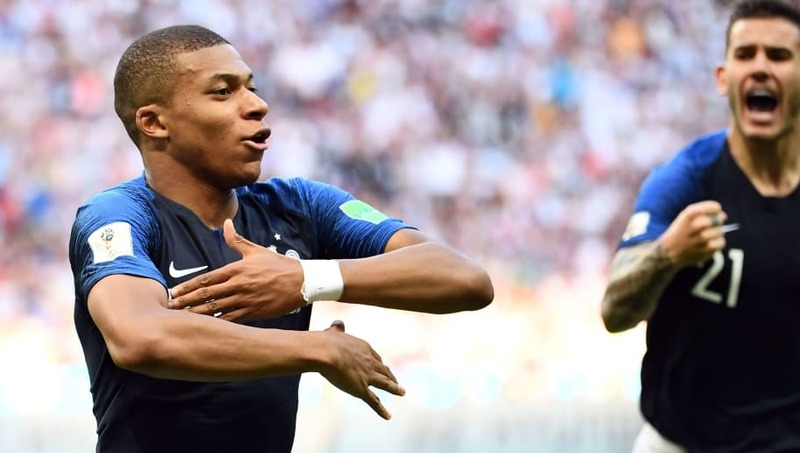 Mbappe put Argentina to the sword in France's first knockout tie of the World Cup, winning a penalty for the opening goal before striking twice in the second half as Les Bleus won the tie 4-3. It was a breathtaking performance by anyone's standards, made all the more impressive by the fact that Mbappe is just 19. He'll have another opportunity to do the business as France meet Belgium in the last four on Tuesday. As we wait for another chance to see the boy wonder in action, let's take a look at some of the other great teenage performances from World Cup history. 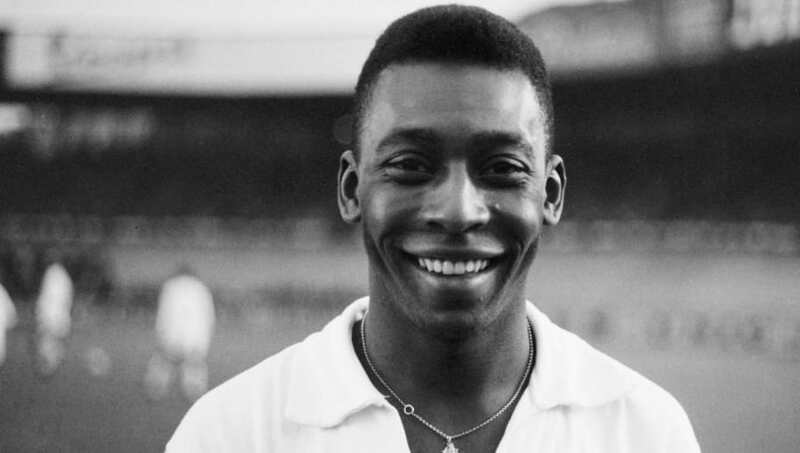 Pele needs no introduction, having cemented his place as arguably the greatest player who ever lived after a glittering career that saw him score over 1,200 goals at club level. Yet in 1958, the 17-year-old travelled to the World Cup with the outside world effectively unaware of his existence. Needless to say, they all knew who he was by the end of the tournament. Pele scored six goals as Brazil lifted the Jules Rimet trophy for the first time in their history, including two strikes in the final as the Selecao beat hosts Sweden 5-2. Not a bad introduction to the world stage. Widely regarded as one of the greatest Italian defenders of all time, Bergomi was just 18 when he made his World Cup bow in 1982. 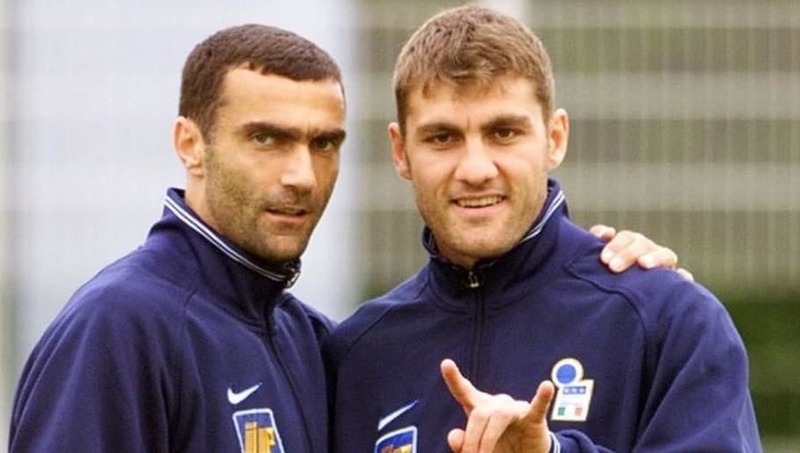 Playing with a maturity well beyond his tender years, Bergomi excelled at the heart of Italy's defence and helped his side defeat two of the world's strongest sides in Brazil and West Germany en route to claiming a third World Cup trophy. What makes Bergomi's performance more impressive is that Italy's attackers were not firing on all cylinders for much of the tournament, meaning they relied on their strong defensive line to claim points as the Azzurri failed to win a single match in the group stage. Bergomi went on to enjoy an excellent career, making 81 appearances for Italy and captaining the side at the 1990 World Cup on home soil. Michael Owen's breathtaking arrival on the scene with Liverpool saw England manager Glenn Hoddle select the young striker in his squad for the 1998 World Cup in France, becoming the youngest English player ever to appear at a World Cup at just 18 years of age. The young striker appeared in England's first two matches as a substitute, the second of which saw him grab the equaliser against Romania. Though England went on to lose the match, Owen had arrived. The defining moment of England's 1998 World Cup came in the Three Lions' round of 16 clash against Argentina. After winning a penalty for England's first goal, Owen put England 2-1 up with a breathtaking solo strike that saw him race away from two defenders and finish from just outside the box. England went on to lose the match on penalties, but nevertheless Owen established himself as one of the brightest young talents in international football with his performances in France. Sychev was just 18 when he was selected as part of Russia's squad for the 2002 World Cup in Japan and South Korea but the young forward had already earned a sterling reputation in his homeland and was famed for his electric pace and strong finishing skills. In an otherwise drab tournament for Russia, Sychev was his country's standout performer, scoring once and setting up three more goals before the Golden Eagles crashed out of the tournament in the group stages. Despite making a name for himself at the World Cup, Sychev's career never reached the same heights again and the football world soon moved on without him. He is still active as a footballer and currently plays for FC Kazanka Moscow in Russian football's third tier. 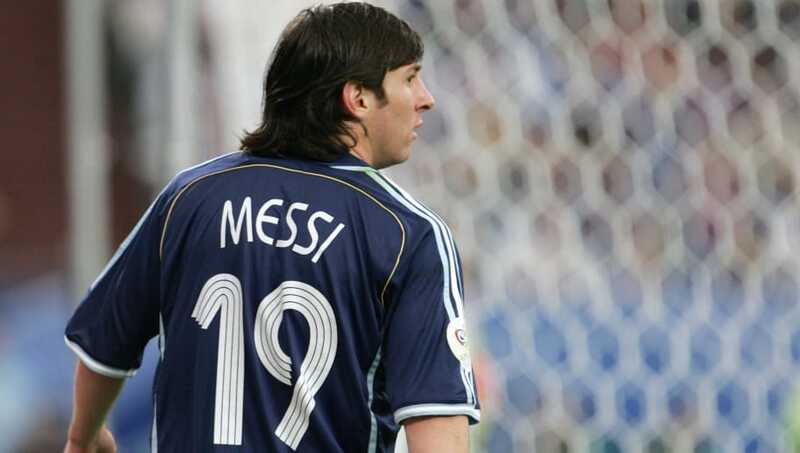 Messi announced himself on the international stage with his performances in Germany in 2006, though fans will always be left wondering what could have been if the forward had been given more chances at the tournament. Introduced as a substitute in the 74th minute against Serbia & Montenegro in Argentina's second game of the tournament, Messi set up his side's fourth goal of the match almost instantly and went on to grab the final goal himself in a 6-0 rout for his side. The goal made Messi the sixth-youngest goalscorer in World Cup history at the time, with the forward just shy of his 19th birthday. Argentina were eliminated by Germany in the quarter-finals of the 2006 World Cup, with Messi forced to watch from the sidelines as La Albiceleste lost 4-2 on penalties. Many fans were furious with manager Jose Pekerman for not playing Messi in the match, feeling that the Barcelona forward could have made a vital difference to the outcome of the tie. Who knows - perhaps Messi could have added a World Cup title to his CV if only Pekerman had shown a little more faith. Mbappe is among highly esteemed company on this list but if the forward's performance against Argentina on Saturday is anything to go by, he could be set to dominate world football in the years to come. Mbappe created the first goal of the match with an unbelievable run with the ball from his own half, leaving Argentina's defence in the dust and only stopping after being cynically hauled down by Marcos Rojo to win a penalty. The PSG forward wasn't done there, though - with the scores tied at 2-2, Mbappe brilliantly worked his way into space in a crowded penalty area to finish and put Les Bleus ahead. Minutes later, the 19-year-old raced onto Olivier Giroud's pass to score again with a cool finish form just inside the area and book France's place in the quarter-finals. 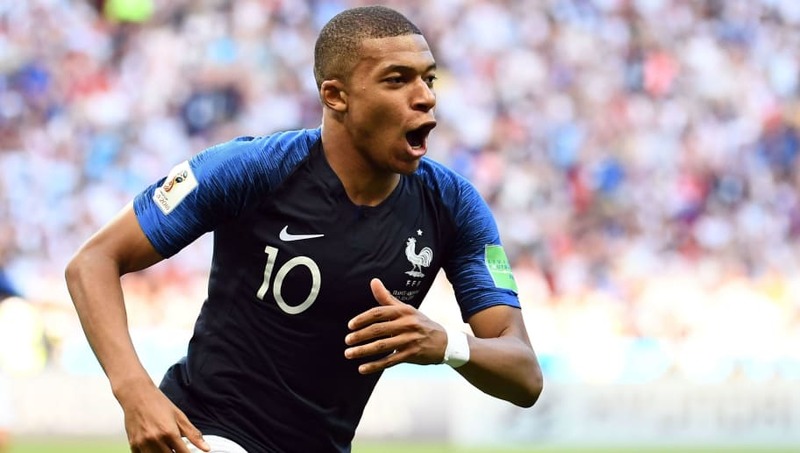 With three goals to his name already in Russia, there is no telling how far France could go in this World Cup with Mbappe leading the line. The forward's blistering pace and eye for goals has already earned comparisons to France legend Thierry Henry and it seems Mbappe is determined to live up to the standards of his idol. Whatever comes of this World Cup, it is now likely to be remembered as the tournament which announced the arrival of Kylian Mbappe. The young starlet has been one of the standouts of an already excellent tournament and it is exciting to wonder where he will go from here.